By David Zippel. Arranged by Andrew Wrangell. Solo Part. 7 pages. Published by Andrew Wrangell (H0.184941-19324). 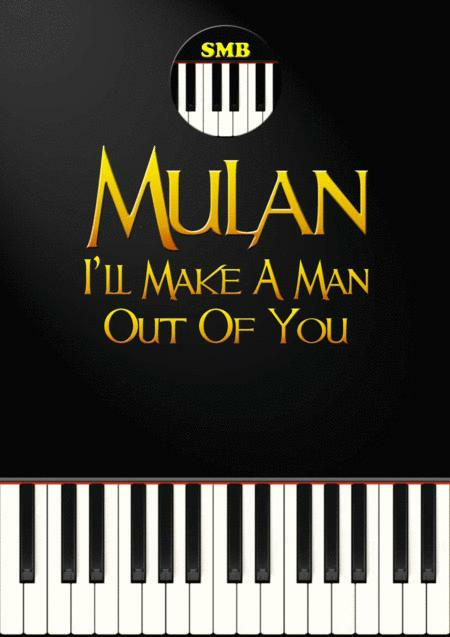 I'll Make A Man Out Of You is the hit song from the Disney film Mulan. 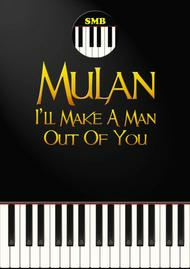 The best-known song from Mulan, I'll Make A Man Out Of You is included in several "best Disney songs" lists such as from New York Post and Total Film. The song has been covered in other languages including in Cantonese by Jackie Chan. Music by David Wilder, lyrics by David Zippel. This arrangement by Andrew Wrangell is approximately grade 8 level. It's a very well-known song so it should be a fantastic performance piece! Andrew Wrangell is a composer and arranger from Brisbane, Australia. He began adapting music for piano as soon as he began learning at the age of 5, playing his favourite TV show themes on piano. He has been arranging music for all sorts of instrument combinations ever since, and has 91 piano arrangements to his name and counting!